Don't ever give up on people. Give them time and space. 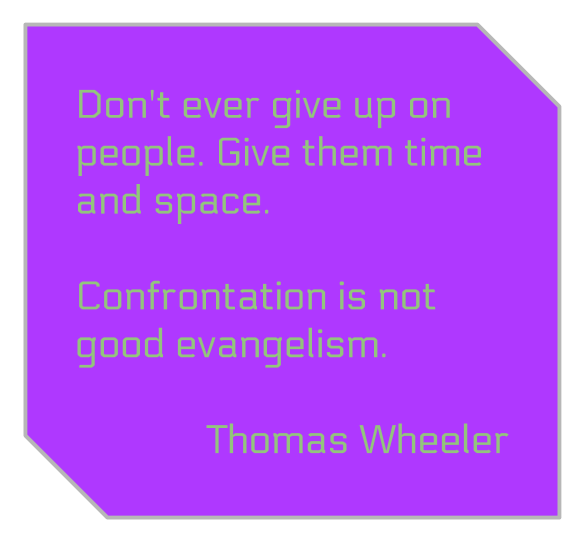 Confrontation is not good evangelism.